An hour north of Fort Stockton along I-20 lies Monahans Sandhills State Park. The sand dunes found in this little corner of west Texas offer amazing lines, curves, and textures. 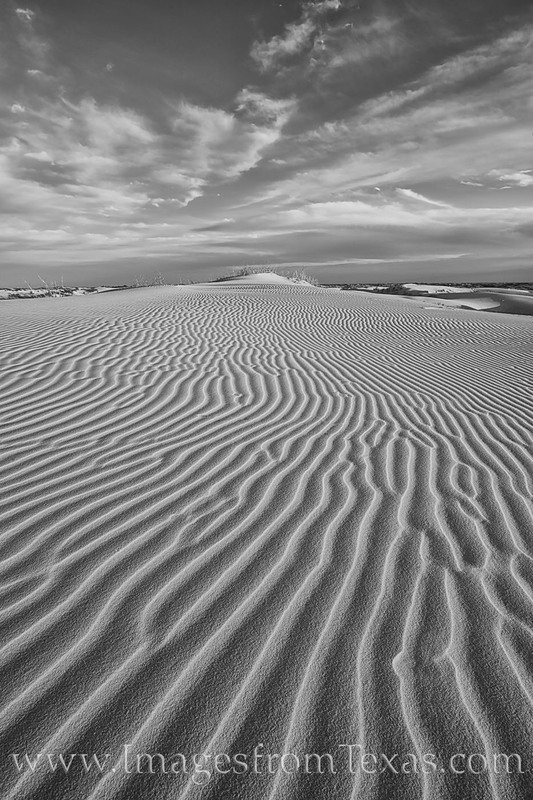 In this black and white image taken in the late afternoon, the low light from the sun adds to the shadows and lines, creating a wonderful pattern of shifting sands.